During the summer season the Montafon Kristberg cable car will take you all the way up the family-friendly adventure and hiking region on the Kristberg. Here at this altitude you will find peace and an unspoilt natural environment, surrounded by the wonderful Austrian Alps mountain scenery. On the Kristberg the unspoilt natural environment during the summer is perfect for hiking, mountain biking, running or just enjoying. Spend your activity holiday in Austria's fresh mountain air and enjoy the wonderful landscapes as well as pure culture, like on the Silberpfad adventure trail. The Kristberg cable car takes you all the way up in only a couple of minutes. On the mountain the whole day is at your feet. Actively enhance your wellbeing with Kneipp walks in the cold water, during a delicious mountain breakfast or during a hike through the lush meadows and fields. Find the latest cable car prices here. 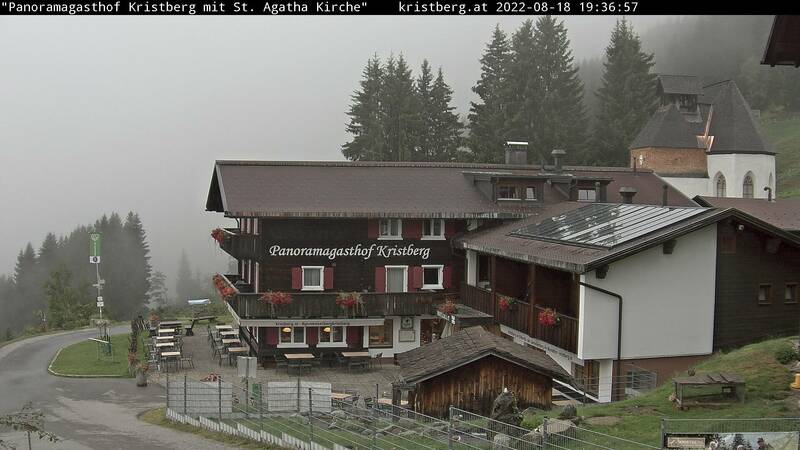 Enjoy the wonderful location of the Kristberg Panoramagasthof, your hotel in Silbertal. Here the indulgence team around Jürgen will take care of your physical and mental wellbeing. You will find a wide range of opportunities for sportive activities during your summer holiday on the Alps. For example, enjoy hiking, mountain biking or jogging on the Kristberg. Send us your no obligation room enquiry for a summer holiday in Vorarlberg or book your cosy room at the Kristberg Panoramagasthof quickly and conveniently online.